Developer iDreamSky will list in Hong Kong at a price tag of roughly $1 bln, less than 10 times expected earnings. Its backer and larger peer Tencent trades at 30 times. The discount signals a mainland online crackdown is taking its toll: valuations have further to fall. 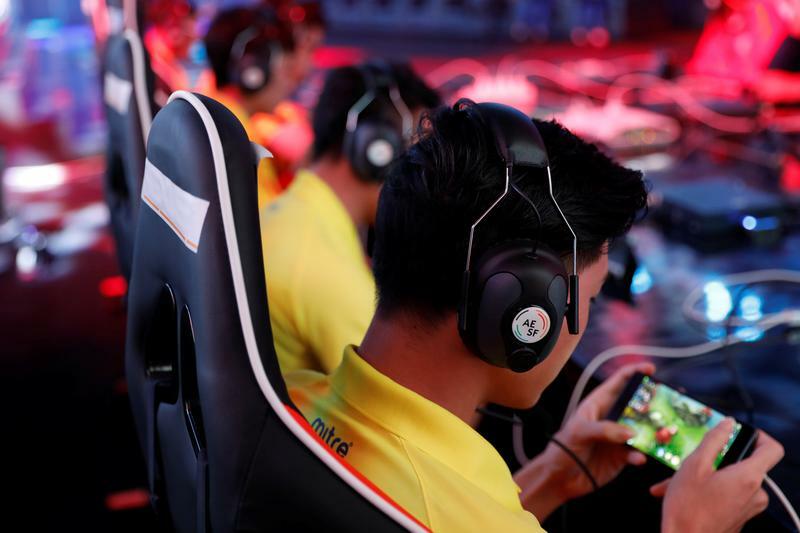 ESports - 2018 Asian Games - Britama Arena - Jakarta, Indonesia - August 26, 2018 - Players compete in Arena Of Valor tournament. Chinese mobile game company iDreamSky Technology has raised HK$838 million ($107.2 million) from a Hong Kong initial public offering, Refinitiv publication IFR reported on Nov. 30. The company, which counts Tencent as a backer, sold 127 million shares at HK$6.60 per share, the lower half of the marketed price range. After the over-allotment option, the deal will value iDreamSky at HK$8.5 billion ($1.1 billion), or 9.5 times forecast 2019 earnings, according to a person familiar with the deal. Japan's Sony and Chinese e-commerce company JD.com have committed $5 million each as cornerstone investors. ICC, China Merchants Securities and Credit Suisse are the joint sponsors of the IPO.